15% discount on all supplements for visitors to Healing points and Dr. Grossman's patients! You may order all of your supplement needs by going to the following site. The user login is RDG411, and the zip code to use is 90290. Just follow the directions to open your account. 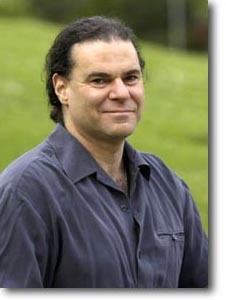 Dr. Richard Grossman (Licensed Acupuncturist, Doctor of Oriental Medicine, Doctor of Philosophy in Oriental Medicine) practices Acupuncture and Oriental (Chinese) Medicine in Santa Monica and Topanga Canyon, California (near Los Angeles, CA). He also practices Nutritional Medicine, Clinical Nutrition, Functional Medicine, Detoxification, Chinese and Western Herbal Medicine, Indigenous Sound Healing™ and Natural Health Care. In addition to Acupuncture and Oriental Medicine, Dr. Grossman practices Functional Medicine in his Topanga Canyon clinic. Functional Medicine is a health care philosophy that gives a unique understanding of the many complex inter-relationships within the miracle of the human body. These connections explain why, for example, a simple digestive disorder, when improperly treated, can lead to something like arthritis. With the philosophy and practical tools provided by Functional Medicine, Dr. Grossman can help guide you to greatly improved health, without the dangerous side effects and risks of drugs and surgery. The genetic makeup of a person (very difficult to change yet in most cases can be helped with proper care). The emotional/energetic background from gestation and early childhood (can be healed with energetic medicine. Quality and type of diet (easy to change with the right tools and some determination). Level of stress and ability to really relax..
And if course, exercise habits and quality. Dr. Grossman uses and has developed safe and effective ways to treat these imbalances with natural methods such as nutritional medicine, herbs, energetic medicine such as acupuncture and homeopathy, physical medicine such as massage and other physical therapy techniques, etc. For details see the Services page..
for updated information about issues that concern your health, and to keep informed about Dr. Grossman's speaking and performing schedule. Download vCard for Outlook, Palm, etc. ©Richard Grossman, L.Ac., O.M.D., Ph.D.